2018 Relay For Life is Here! 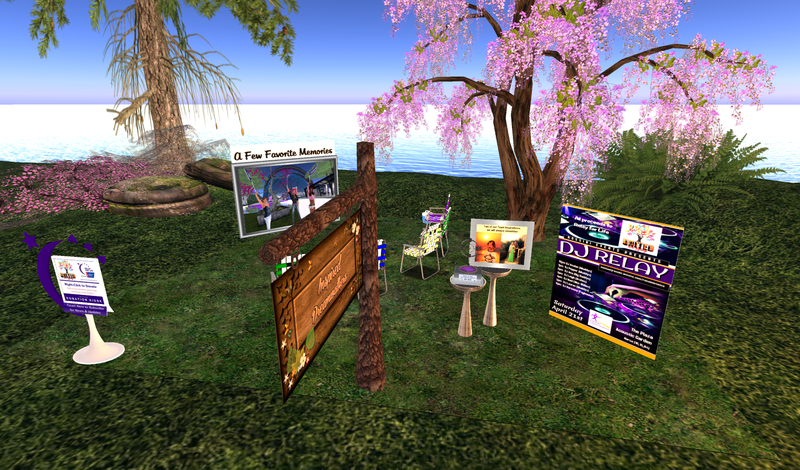 The 2018 Relay For Life of Second Life season Kick-off ceremony was held on Saturday, April 7th at 10am SLT. Thank you all who came out and visited the Relay sims for the event. Seating was limited but we know you were all there in spirit! Registered teams were given a small site on the Relay sims to set out kiosks or vendors and to display memorabilia. Here is a photo of our site. This entry was posted in American Cancer Society, Relay For Life of Second Life and tagged ACS, American Cancer Society, Events, Fundraiser, Fundraising, Inspired Dreamwalkers, Inspired Dreamwalkers RFL, Relay For Life of Second Life, Team, Teams, volunteer. Bookmark the permalink.